The U.S. Environmental Protection Agency (EPA) and U.S. Food and Drug Administration (FDA) once again advised pregnant women to curb consumption of fish in order to limit fetal exposures to neurotoxic mercury. This warning raises the baffling query: How can the Centers for Disease Control and Prevention (CDC) justify its recommendations that pregnant women get flu shots which are laden with far more mercury than what’s found in a can of tuna? The CDC has long answered that nettlesome question with the controversial claim that ethylmercury in vaccines is not toxic to humans. Now, two CDC scientists have published research decisively debunking that assertion. As it turns out, there is no “good mercury” and “bad mercury.” Both forms are equally poisonous to the brain. The CDC study, Alkyl Mercury-Induced Toxicity: Multiple Mechanisms of Action, appeared last month in the journal, Reviews of Environmental Contamination and Toxicology. The 45-page meta-review of relevant science examines the various ways that mercury harms the human body. Its authors, John F. Risher, PhD, and Pamela Tucker, MD, are researchers in the CDC’s Division of Toxicology and Human Health Sciences, Agency for Toxic Substances and Disease Registry. The ethylmercury in thimerosal does not leave the body quickly as the CDC once claimed, but is metabolized into highly neurotoxic forms. CDC’s website continues to feature now discredited safety assurances. Handley, the founder of Generation Rescue, a vaccine safety advocacy group, condemns the CDC for misleading the medical establishment. “The CDC knows that pediatricians and physicians rely on its public pronouncements when they make treatment decisions for their patients; how can we escape the conclusion that the agency is knowingly causing the poisoning of tens of millions of American children,” Handley stated. The revolutionary conclusions of the new CDC study actually reflect decades of work by mainstream independent scientists outside the agency. A rich scientific literature that emerged from accidental poisoning events has consistently documented—despite CDC’s official claims—that ethylmercury and methylmercury are equally toxic. In addition to the well-known Minamata and Iraq methylmercury-poisoning, many other large-scale food poisonings have occurred involving ethylmercury fungicides in Iraq in 1956 and 1960, in Pakistan in 1961, and in Russia in the 1960s as well. These episodes resulted in maladies ranging from basic tissue injury to heart and brain injury and even death. A 1979 case report concerned a fifteen-year-old boy who had eaten the meat of a pig that had fed on ethylmercury fungicide−treated seed. Documented effects on the boy included debilitating brain damage and loss of coordination, with high toxicity for the brain as well as the spinal motor neurons, peripheral nerves, skeletal muscles, and heart muscle. The boy died about one month after becoming ill.
Ethylmercury’s use as pesticide was eventually banned in many countries, including the United States and those in the European Union, and for good reason: A 1977 study gauged ethylmercury chloride’s relative toxicity as a pesticide as the fifth most toxic of thirty substances tested, with a score of 12.7. That grade score almost matched that of DDT, at 14.2, an infamous pesticide banned in 1972. Why Does the US EPA only Provide Guidelines for Exposure to Methylmercury and not Ethylmercury? In 1995, based on research from outbreaks of poisonings and other research from the Faroe Islands and the Seychelles, the EPA established a safe “reference dose” for methyl mercury (RfD). An RfD is defined as “an estimate of a daily exposure to the human population (including sensitive subgroups) that is likely to be without an appreciable risk of adverse effects when experienced during a lifetime,” according to the EPA. The EPA adopted for methylmercury an RfD of 0.1 microgram of mercury per kilogram of the individual’s body weight per day. Other health agencies set their own recommended limits for methylmercury exposure, including the FDA in 1979, the World Health Organization in 1989 and the US Agency for Toxic Substances and Disease Registry (ATSDR) in 1999. The highest of these limits was the WHO’s, at 0.47 microgram per kilogram of body weight per day. In 1999 the US Congress directed the EPA to contract with the nonprofit, independent National Research Council (NRC) to prepare recommendations on an updated and appropriate RfD. The EPA commissioned the National Academy of Sciences (NAS) and the NRC to carry out a study on toxicological effects of methylmercury compounds. The goal was to review the process used by the EPA to establish national safety standards. The committee evaluated the literature, which demonstrated methylmercury compounds’ high toxicity to brain tissue, even at minute levels. The NAS ultimately agreed with the EPA ‘s originally conceived RfD, which remains in place today. An RfD has never been established for ethylmercury. The CDC has crossed ethical and perhaps even legal boundaries by purposefully blocking efforts by the National Institute of Environmental Health Science’s (NIEHS) National Toxicology Program (NTP) to test ethylmercury for toxicity – a process that would have lead to maximum exposure guidelines. In 2000, the FDA nominated thimerosal to the NTP for toxicity testing. 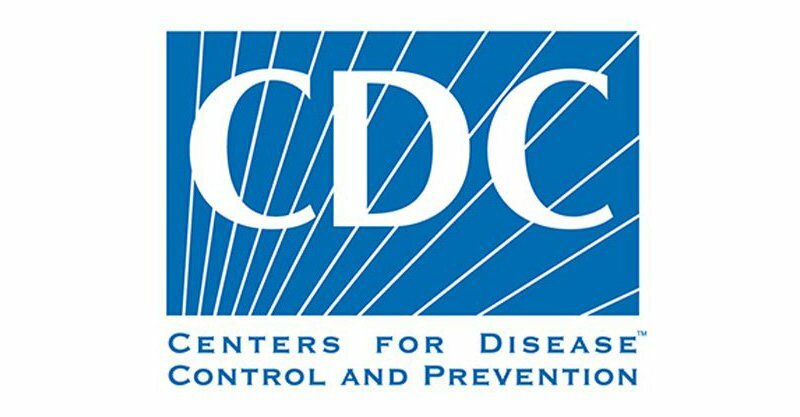 However, CDC officials derailed the review telling the NTP committee that “There is a great concern within CDC about continued attacks from anti-vaccine groups questioning the integrity of CDC activities and recommendations regarding the use of thimerosal-containing vaccine.” In response to CDC pressure, the NTP put thimerosal on permanent deferred status. Thimerosal has, therefore, never been tested for safety or toxicity. A single Thimerosal-preserved flu vaccine contains 25 micrograms of ethylmercury. If the EPA RfD for ingested methylmercury is applied to this injected ethylmercury figure, an individual would have to weigh more than 250 kilograms (551 pounds) for the 25 microgram exposure to be considered safe. Back in the 1990s, a two-month-old child could have received 62.5 micrograms from three vaccines in a single doctor’s visit. Assuming the child weighed about 5 kilograms (11 pounds), he or she would have received 125 times the EPA RfD for methylmercury. What might this mean for a fetus today? We’ll take the low end of that estimate and apply it to an average 1.15-kilogram (2.54-pound) fetus at the start of the third trimester. A fetus exposed to 25 micrograms of mercury via a Thimerosal-preserved flu shot administered to its pregnant mother could be subject to 870 times the proposed lower reference dose. New and old research support the caveat that “safe” levels of ethylmercury exposure might indeed be dramatically lower than the EPA’s RfD. A 2012 Italian study , for instance, showed that ethylmercury-containing Thimerosal diminished the viability of human cells in the lab at a concentration one-fiftieth that of methylmercury. By this measure, ethylmercury is 50 times as toxic as methylmercury to humans. Japanese research on rats in 1968 showed that ethylmercury compounds, such as ethylmercuric chloride from which Thimerosal is made, clear the body more slowly than other mercury compounds including mercuric chloride and phenylmercuric chloride. A book chapter in 1972 by Staffan Skerfving, an emeritus professor at Lund University in Sweden, reviewed literature on methylmercury versus ethylmercury, noting several instances where compounds of the latter appeared more toxic than the former in animal studies. For example, ethylmercury chloride killed off half of a test population of mice—a classic “LD50” (lethal dose) study—within a week at a concentration of 12 milligrams of mercury per kilogram of body weight; methylmercury chloride’s LD50, meanwhile, lethal to half the mice was 14 milligrams. This study suggested that ethylmercury was twice as toxic. Further examples abound. Pig studies by Tryphonas and Nielsen in 1973 showed that ethylmercury “proved much more toxic” than methylmercury. Meanwhile, another 1973 study that emerged from a 1971 international conference found the toxicity of ethylmercury compounds comparable to or even greater than that of methylmercury, as well as more persistent in the brain. Why do the CDC and WHO Report that Ethylmercury Exposure is Safe? The WHO’s conclusion that ethylmercury is safer because of its “short” half-life may be based on observations that ethylmercury disappears from blood samples quicker than methylmercury. However, this tendency may be evidence not of ethylmercury’s comparative safety, but of its greater danger if, as science has suggested, ethylmercury is not leaving the body but simply migrating more rapidly to the organs, including the brain. Indeed, studies have shown that an ethylmercury compound’s short residence in the blood stems from its ability to more easily pass into the organs, where it can remain for long periods and possibly cause injury. Beyond a possibly greater capacity to have inorganic mercury accumulate in organs, Thimerosal also passes more easily from a mother’s bloodstream through the placenta into a developing baby than does methylmercury. That was the evaluation made in a 1983 review study by A. Leonard. In addition, a 1995 study demonstrated that both ethylmercury and methylmercury cause mutagenic changes at similar concentrations in bacterial cells. With these and other studies as background, an important study in humans took place in the early 2000s. The study, by Michael Pichichero of the University of Rochester Medical Center and published in The Lancet in 2002, lent some apparent scientific credence to the idea that ethylmercury is safer than methylmercury. Pichichero, who helped develop the HiB vaccine and previously received grants and honoraria as a consultant for other vaccine makers , did not declare these conflicts of interest in a statement in his paper, as required by The Lancet’s peer review rules. The Pichichero study assessed mercury levels in the blood, urine, and feces of forty infants ages six months or younger three to twenty-eight days after they had received Thimerosal-preserved vaccines (DTaP, HepB, and in some cases Hib). For comparison, twenty-one similar infants who received Thimerosal-free vaccines were also evaluated. Although infants who received Thimerosal-preserved vaccines had higher levels of mercury in their blood, urine, and feces than did the infants who received Thimerosal-free vaccines, the authors concluded that the levels of mercury detected were not greater than what is considered safe. Most of the mercury from the injected Thimerosal seemed to have left the children’s bloodstreams more rapidly than methylmercury found in the blood of those eating fish in previous studies; the researchers estimated a half-life of seven days for ethylmercury in the blood. Pichichero concluded that ethylmercury, therefore, did not remain in children’s bodies long enough to possibly cause damage. Pichichero’s study immediately came under attack by internationally respected scientists in a 2003 letter to The Lancet by Neal Halsey , of the Institute for Vaccine Safety at Johns Hopkins Bloomberg School of Public Health, and Lynn Goldman, also of the Bloomberg School of Public Health. Halsey and Goldman pointed out that Pichichero and colleagues “did not measure the peak blood concentrations that occurred within hours after the injections.” The concentration listed for one child in the study of 20.55 nanomoles per liter was obtained five days post-vaccination. Assuming Pichichero’s own estimate of an ethylmercury half-life in the blood of seven days, the peak blood concentration for this child was 29.4 nanomoles per liter—exceeding the conventional safety threshold of 29.0 nanomoles per liter, and contradicting the study’s claim that “no children had a concentration of blood mercury exceeding 29 nmol/L.” The child in question had received 37.5 micrograms of ethylmercury rather than the possible maximum exposure of 62.5 micrograms. In the latter scenario, the child’s peak blood mercury concentration would have hit 48.3 nanomoles per liter. Another child in the study registered a 7 nanomole per liter blood concentration 21 days post-vaccination; extrapolating backwards, this child’s peak mercury level might have reached 42 nanomoles per liter. Halsey and Goldman’s letter further pointed out that Pichichero seemed to have cherry-picked the children in the study—some already with no margin of safety for further mercury exposure—seemed to have come from a population with low background environmental and maternal exposure to methylmercury. Soon after publication of Pichichero’s study, alarming new evidence emerged that ethylmercury lingers in the body. In an unpublished letter submitted to Pediatrics, Dr. Boyd Haley, then-chairman of the chemistry department at the University of Kentuck, and Mark Blaxill challenged Pichichero’s hypothesis that ethylmercury is quickly excreted. Pichichero and colleagues had measured the excretion levels of mercury in the stools of 22 healthy infants exposed to Thimerosal-containing vaccines. Pichichero’s estimated range for the infants aged two and six months was 23 to 141 nanograms per gram of stool (dry weight). Assuming the excretion rate reported by Pichichero, Blaxill and Haley demonstrated that it could take children with low excretion rates of mercury in their stool almost four years to eliminate a 187.5 microgram mercury burden from their bodies. In 2006, Luis Maya and Flora Luna further debunked Pichichero’s conclusions. The authors pointed out that while Pichichero’s team had found ethylmercury to be excreted in appreciable quantities in the feces, the researchers did not study other body parts beyond the blood, such as the central nervous system. In agreement with Halsey and Goldman, Maya and Luna criticized Pichichero for neglecting to measure the peak serum levels of ethylmercury after the first hours of inoculation, though other investigations had documented substantially elevated blood concentrations in the first 48 to 72 hours after administration in pediatric vaccines. Maya and Luna also pointed out that the study was small and measured variables of pharmacokinetics (the actions of a drug within the body over time), so it was not designed to measure the biological effect of Thimerosal as a preservative.